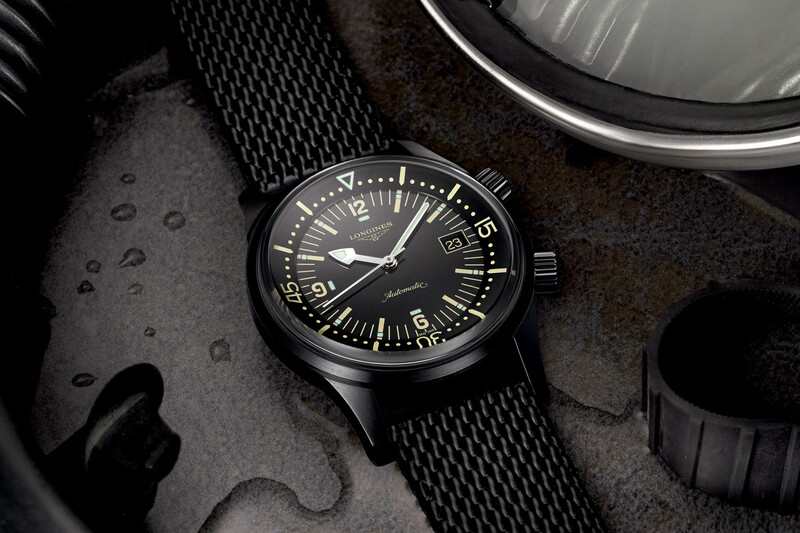 Longines’ modern dive watch, the HydroConquest, gets the full ceramic treatment. 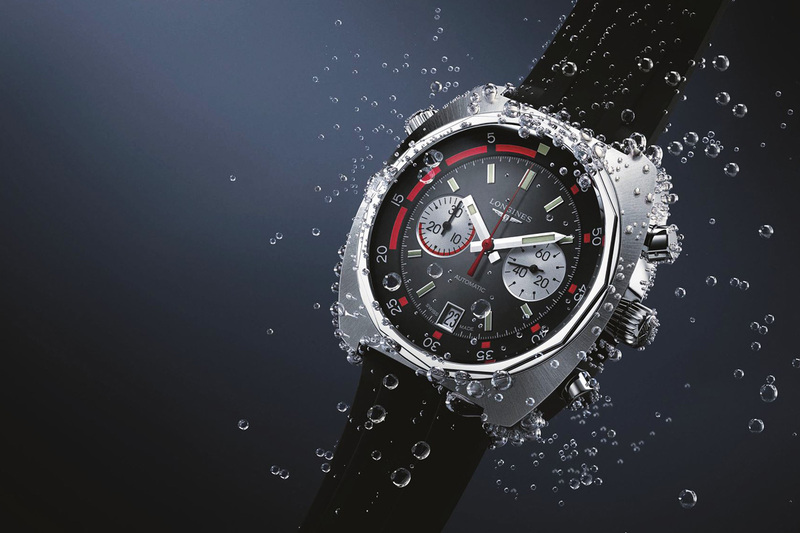 Standing out with its clean and pragmatic lines, the Longines HydroConquest was introduced over 10 years ago as part of the brand’s sports collection. 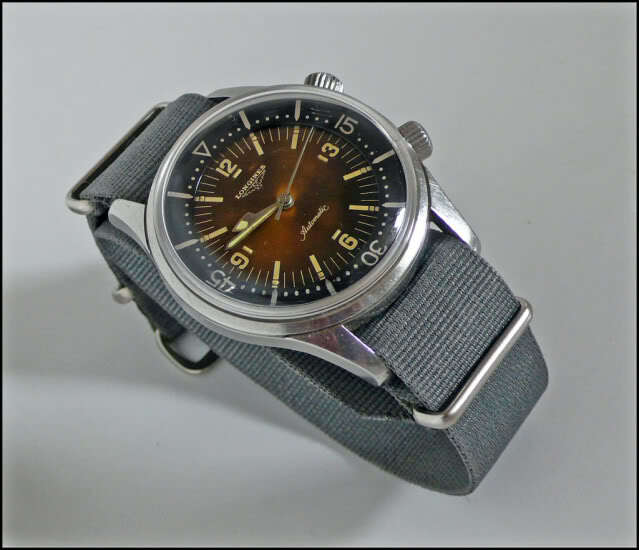 This modernly designed dive watch has since seen numerous iterations, including newer versions fitted with coloured ceramic inserts on the bezel. The brand now goes a few steps further in this direction incorporating ceramic on the entire case. 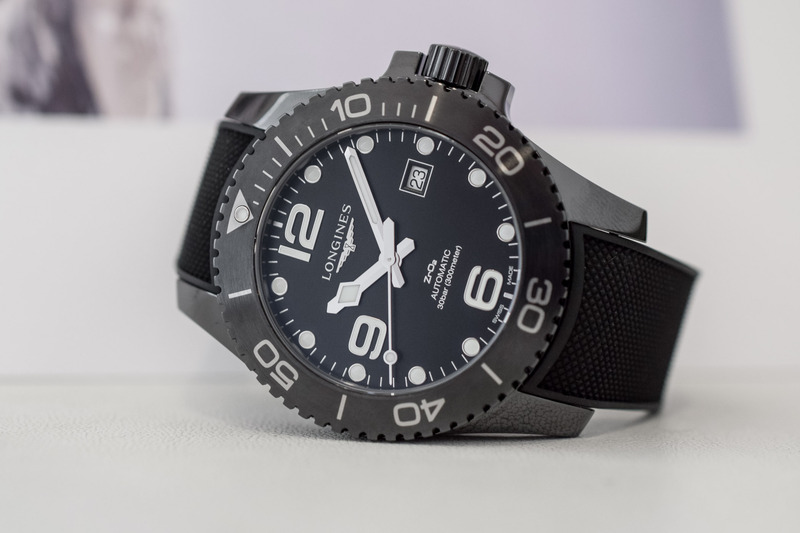 Meet the new Longines HydroConquest Full Black Ceramic. 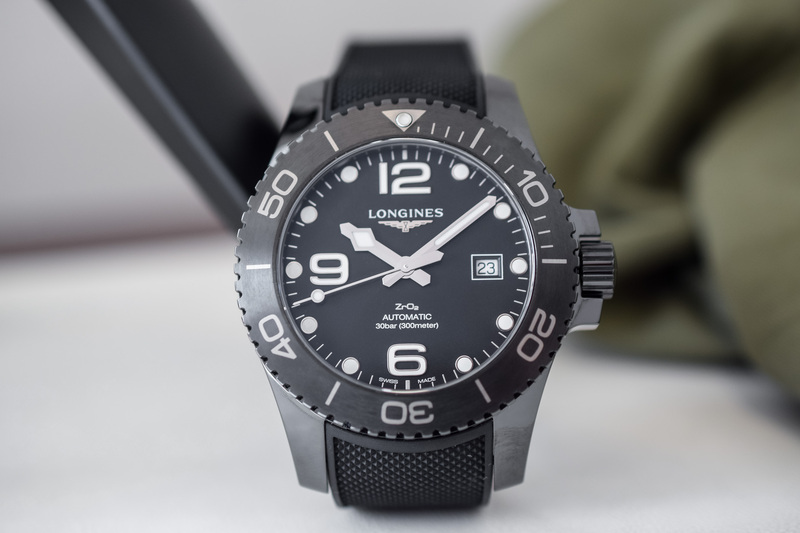 This new Longines HydroConquest is a dynamic dive watch and features all the characteristics found in the collection’s latest facelift. 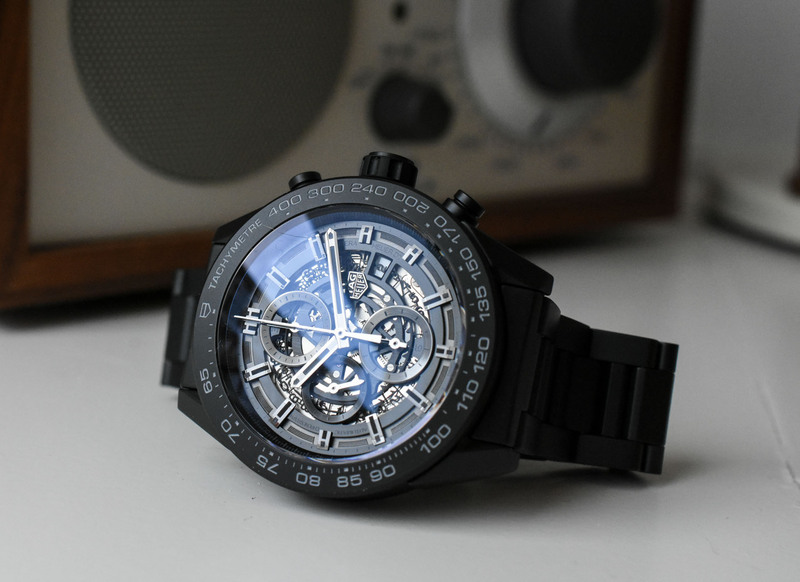 What’s really new though is that its case is fashioned out of high-tech, scratch-resistant black ceramic for the first time – Zirconium Oxide ZrO2 as printed on the dial and the same material used by Omega on the SM300, for instance. 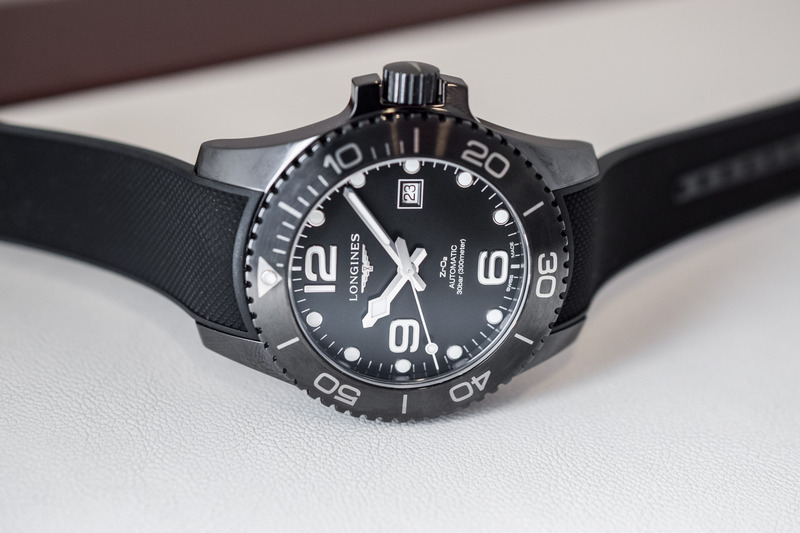 The watch stands out among the different versions of the HydroConquest with a stealth, full-black look giving it a modern, sportier character. 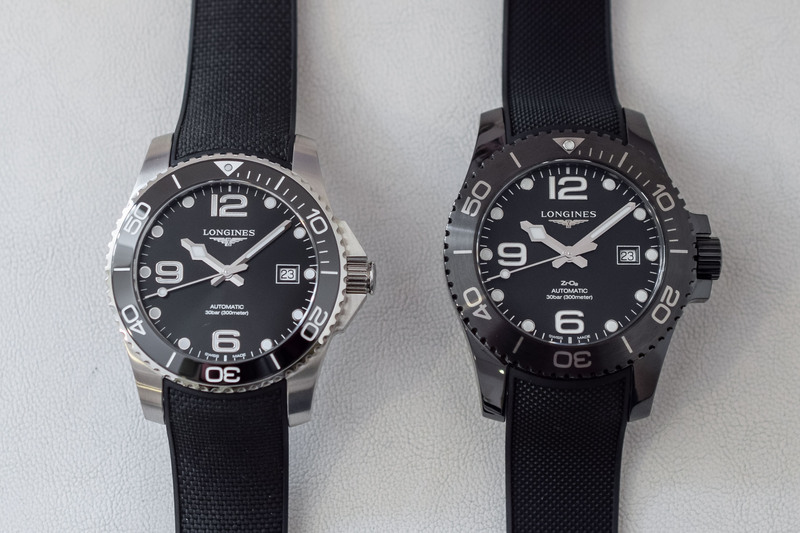 Overall, the Longines HydroConquest in steel (left) and in Black Ceramic (right) share the same case proportions and design, yet with a few updates due to the ceramic production constraints. 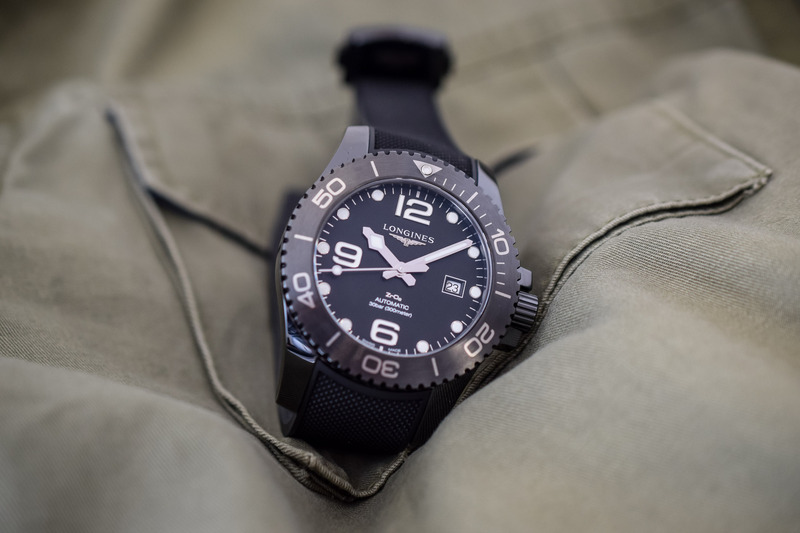 Besides the new material, the case of this new version is the same as the steel models, with its 43mm diameter and elongated lugs, and still water-resistant to 300m. Its unidirectional bezel, now a solid block of ceramic, operates smoothly and precisely. Among the most notable updates, the design of the crown guards has been slightly reworked and adapted to the ceramic production constraints. These crown guards hug the screw-down crown securely without being too obtrusive. 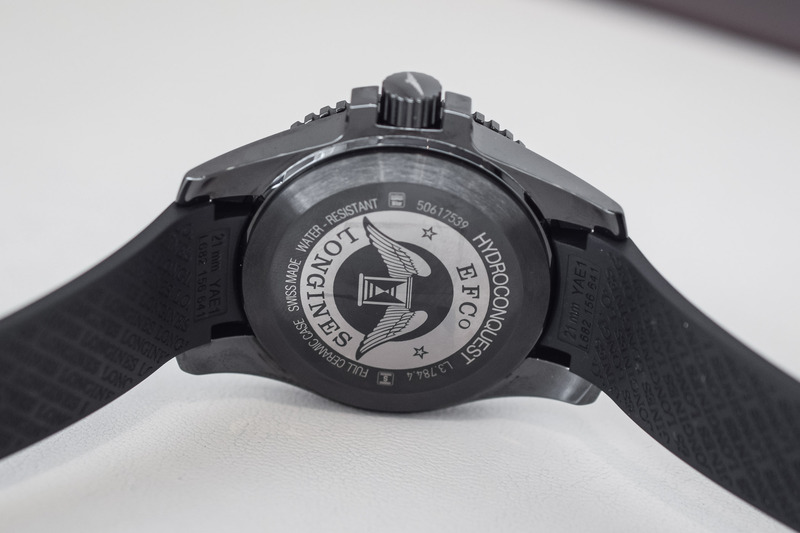 The caseback is emblazoned with the Longines winged hourglass logo. On the dial, all indications are legible at a glance. The white Super-LumiNova treatment of the raised indexes, large Arabic numerals and hands ensures excellent contrast in all conditions. The raised Longines logo is a nice touch. The sapphire crystal features several layers of anti-reflective coating on both sides and is practically invisible. 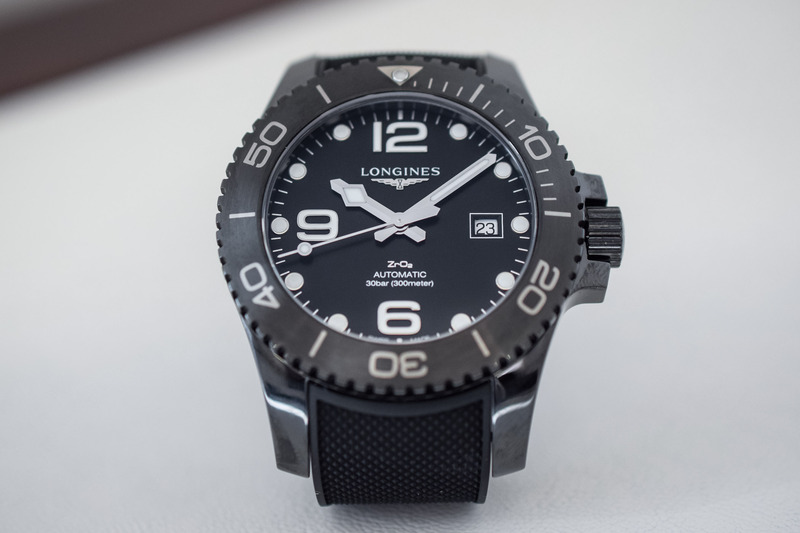 Beating inside the Longines HydroConquest Full Black Ceramic is the same movement as other versions of this model, meaning the automatic calibre L888, based on the ETA A31-L01. Measuring 25.60mm in diameter and 3.85mm in height, this movement is a reworked version of the ETA-2892, slowed down to 25,200 vibrations per hour, allowing for an upgraded power reserve, up to 64 hours (instead of 50 hours). It displays central hours, minutes and seconds, as well as the date in a window at 3 o’clock. 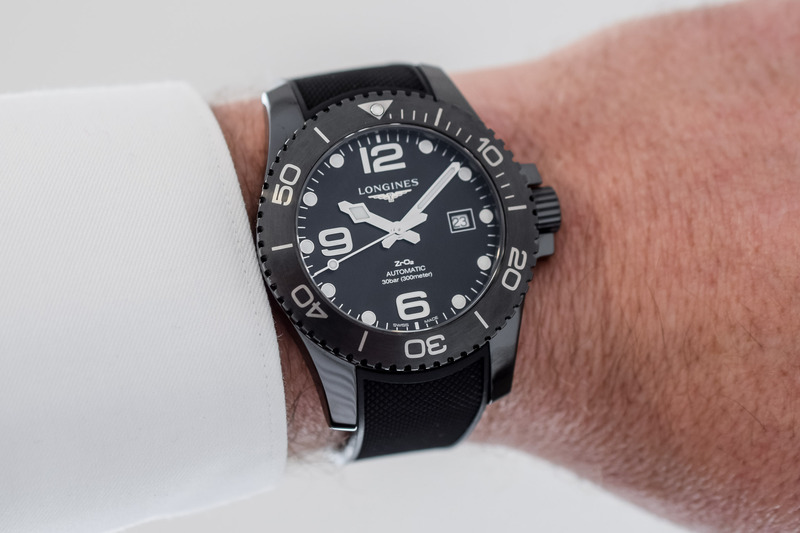 The Longines HydroConquest Full Black Ceramic is secured to the wrist by a textured rubber strap with a safety folding buckle also made of ceramic. The strap is integrated into the case, ensuring a snug fit. 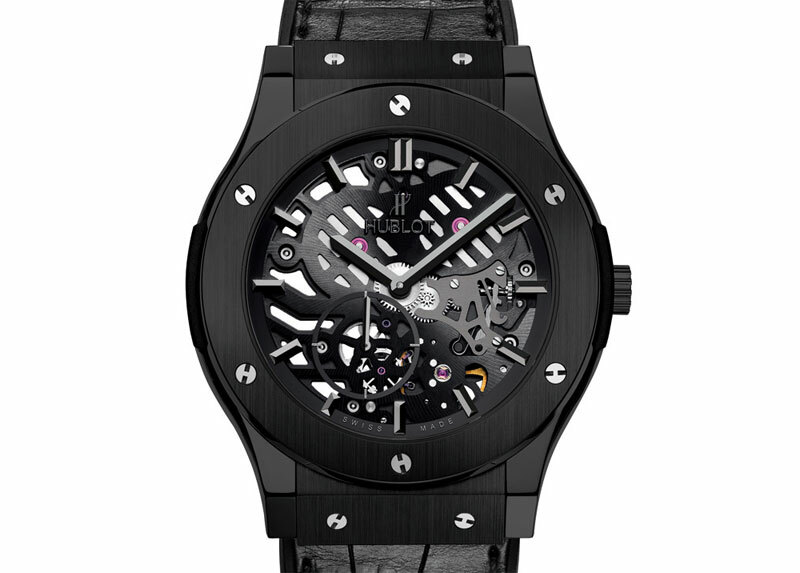 If the watch is rather large on the wrist, it wears comfortably thanks to its ultra-light ceramic case. Price is set at CHF 3,500. For more information, please visit www.longines.com. Little advice for Longines. If your lugs are so long that the springbar holes have to be recessed by a full third of the luglength, you’ve got a problem! What is this, 55mm high? Quite nice! My favorite Hydroconquest so far.